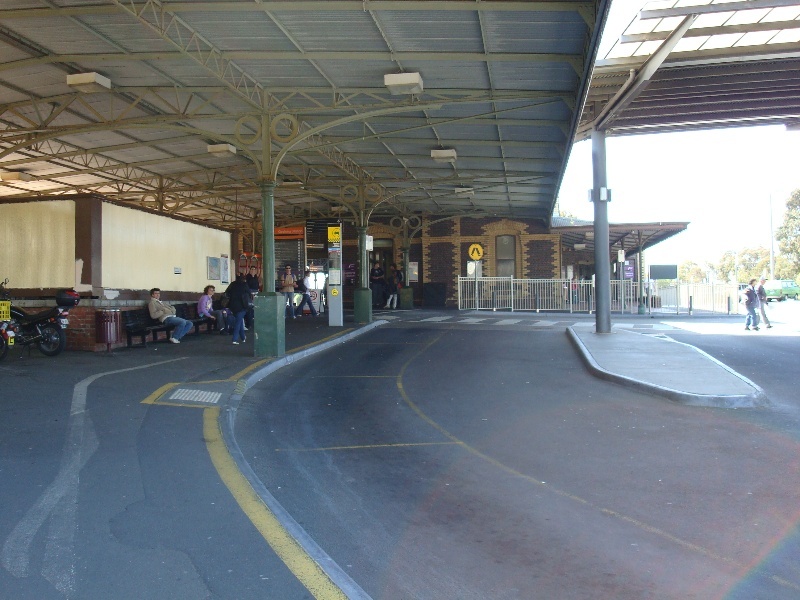 The Geelong Railway Station is one of a standard plan type constructed throughout Victoria to Railway Department architects' designs. 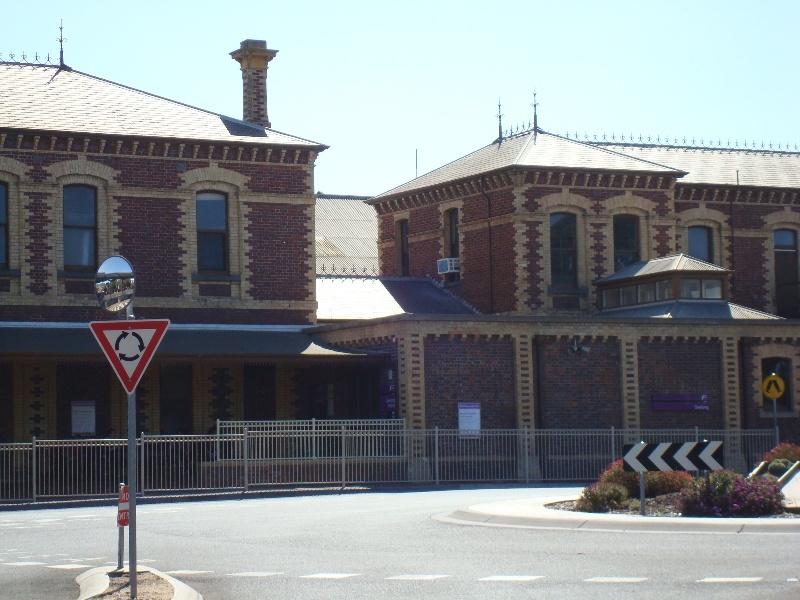 The main polychromatic brick station building and platform was erected in 1879 to replace the original station constructed in 1854. 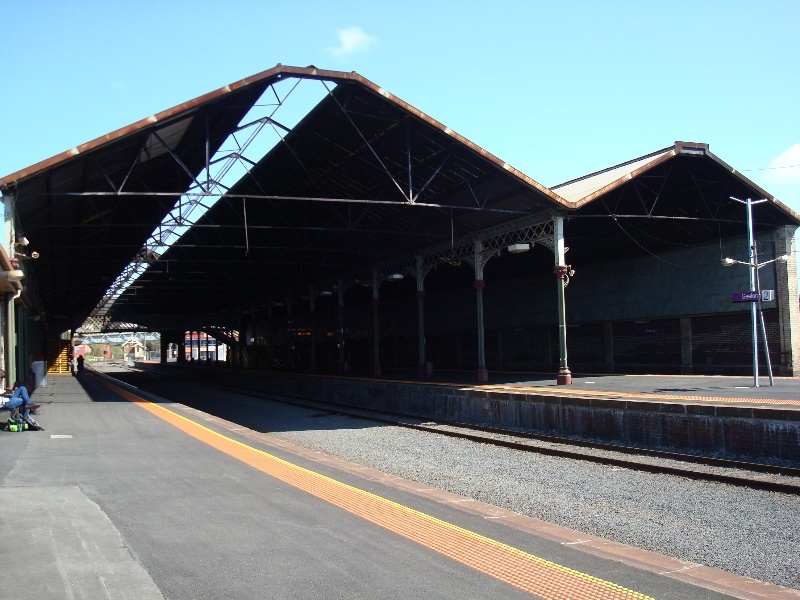 An iron frame train hall was erected in 1892 on similar lines to that at Ballarat, The railway station, with impressive train hall, is indicative of the architecture of the "steam age" and the train hall is one of only two surviving in Victoria. The structure is notable for the cast iron and wrought iron decoration and polychromatic brick details. A Ward & A Connelly : In conjunction with the Victorian Railways Historical Society, "Victorian's Railways : An Architectural Survey", 1980. 3rd July 1958 - Tender for erection of refreshment rooms at Geelong Station, Martin Sholl sec. 15 July 1877 - Tender for goods shed. 17 July 1878 - Alternative tenders for construction of new station at Geelong. 18 December 1878 - tenders for construction of passenger station, outbuildings, platforms. 21 February 1949 - Description of building. 11 May 1883 - Report on completion of station buildings. 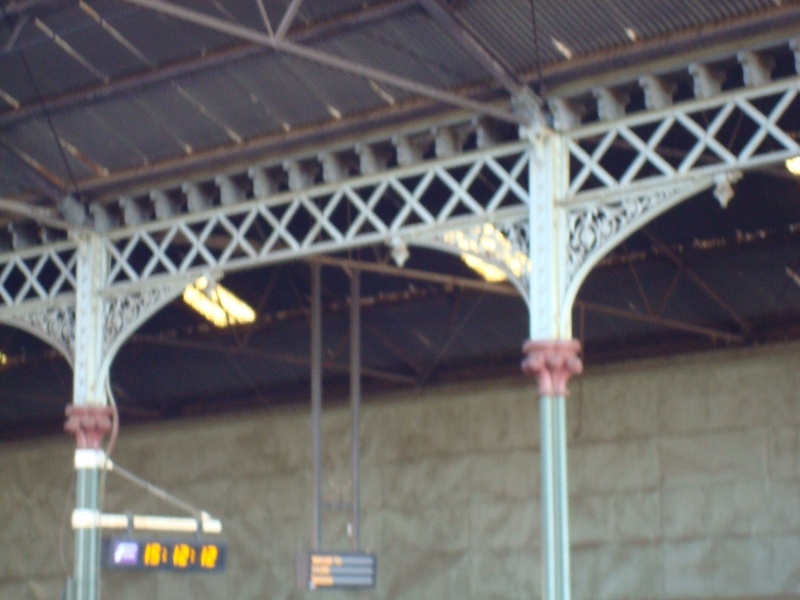 The present Geelong Station was built to a standard Victorian Railway Building Department plan, identified in A Ward survey as the "St Arnaud Style". 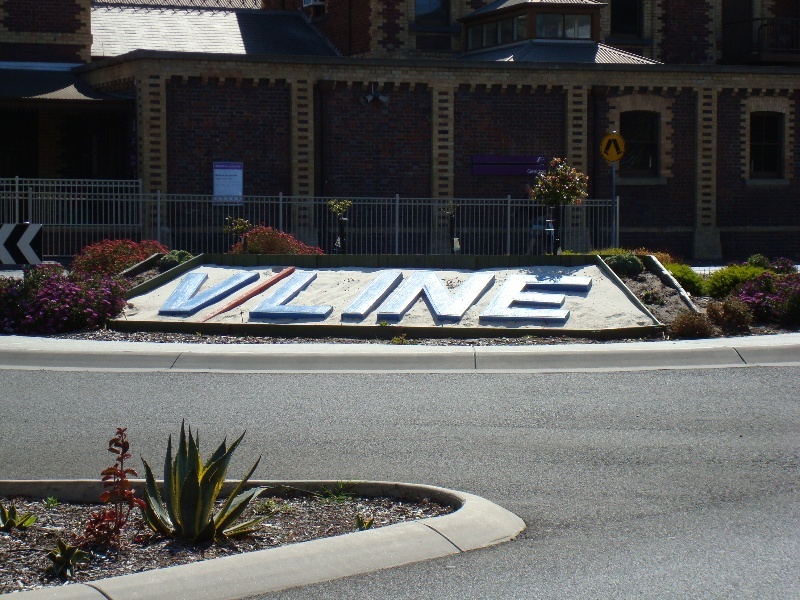 The plan was also used on this line for the Colac Station. 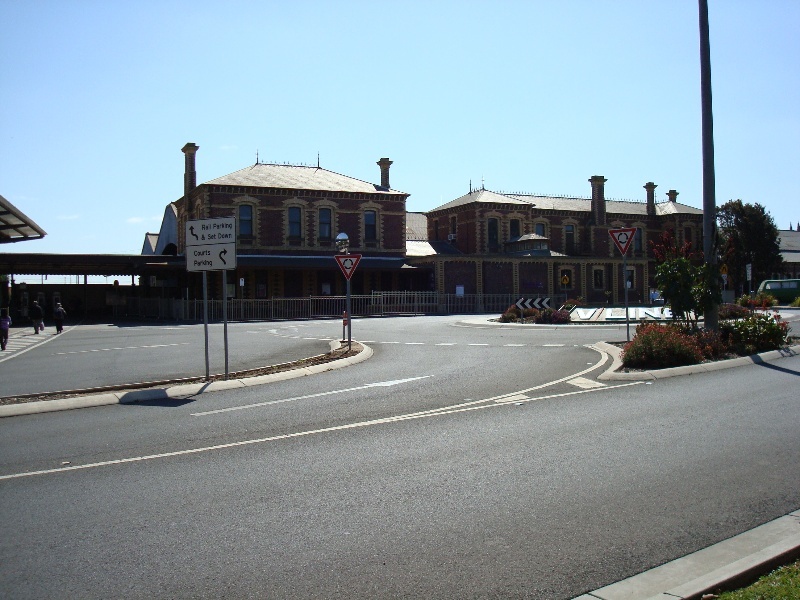 The Train Hall (1892) is of importance as one of the two train halls constructed in Victoria. The other hall remains intact at Ballarat Station. 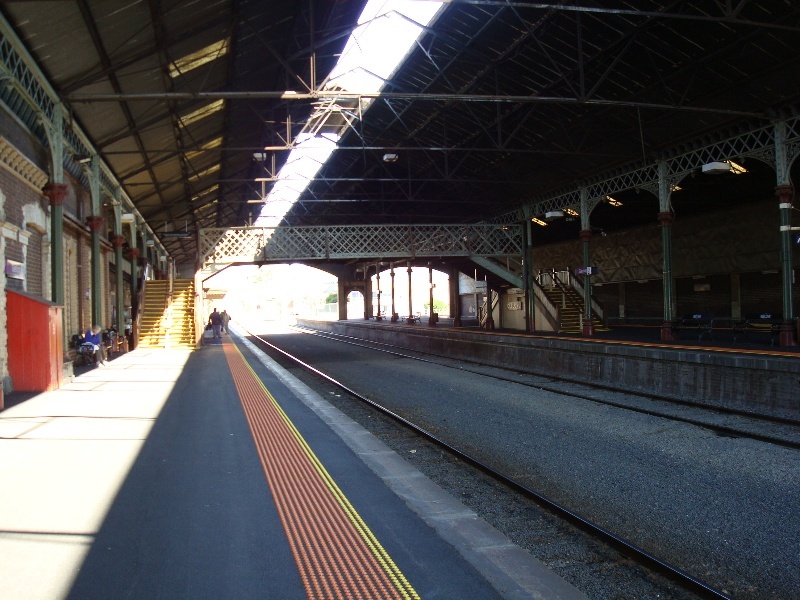 Several train halls have been constructed in Australia and Victoria is unique for its retention of the constructed train halls.